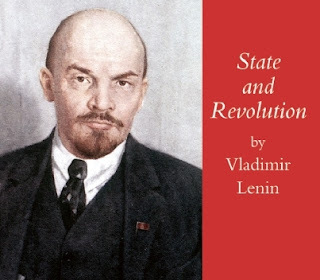 In Defense of Communism: Vladimir Ilyich Lenin- The State and Revolution (1917) Part II "The Experience of 1848-1851"
Vladimir Ilyich Lenin- The State and Revolution (1917) Part II "The Experience of 1848-1851"
ΙΙ. THE EXPERIENCE OF 1848-1851. "... We have seen above that the first step in the revolution by the working class is to raise the proletariat to the position of the ruling class to win the battle of democracy. Here we have a formulation of one of the most remarkable and most important ideas of Marxism on the subject of the state, namely, the idea of the "dictatorship of the proletariat" (as Marx and Engels began to call it after the Paris Commune); and, also, a highly interesting definition of the state, which is also one of the "forgotten words" of Marxism: "the state, i.e., the proletariat organized as the ruling class." This definition of the state has never been explained in the prevailing propaganda and agitation literature of the official Social-Democratic parties. More than that, it has been deliberately ignored, for it is absolutely irreconcilable with reformism, and is a slap in the face for the common opportunist prejudices and philistine illusions about the "peaceful development of democracy". The proletariat needs the state — this is repeated by all the opportunists, social-chauvinists and Kautskyites, who assure us that this is what Marx taught. But they “forget” to add that, in the first place, according to Marx, the proletariat needs only a state which is withering away, i.e., a state so constituted that it begins to wither away immediately, and cannot but wither away. And, secondly, the working people need a "state, i.e., the proletariat organized as the ruling class". The state is a special organization of force: it is an organization of violence for the suppression of some class. What class must the proletariat suppress? Naturally, only the exploiting class, i.e., the bourgeoisie. The working people need the state only to suppress the resistance of the exploiters, and only the proletariat can direct this suppression, can carry it out. For the proletariat is the only class that is consistently revolutionary, the only class that can unite all the working and exploited people in the struggle against the bourgeoisie, in completely removing it. The exploiting classes need political rule to maintain exploitation, i.e., in the selfish interests of an insignificant minority against the vast majority of all people. The exploited classes need political rule in order to completely abolish all exploitation, i.e., in the interests of the vast majority of the people, and against the insignificant minority consisting of the modern slave-owners — the landowners and capitalists. The petty-bourgeois democrats, those sham socialists who replaced the class struggle by dreams of class harmony, even pictured the socialist transformation in a dreamy fashion — not as the overthrow of the rule of the exploiting class, but as the peaceful submission of the minority to the majority which has become aware of its aims. This petty-bourgeois utopia, which is inseparable from the idea of the state being above classes, led in practice to the betrayal of the interests of the working classes, as was shown, for example, by the history of the French revolutions of 1848 and 1871, and by the experience of “socialist” participation in bourgeois Cabinets in Britain, France, Italy and other countries at the turn of the century. All his life Marx fought against this petty-bourgeois socialism, now revived in Russia by the Socialist-Revolutionary and Menshevik parties. 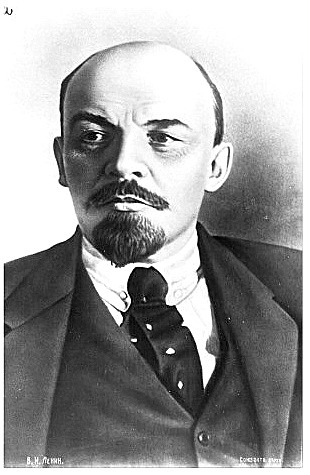 He developed his theory of the class struggle consistently, down to the theory of political power, of the state. The overthrow of bourgeois rule can be accomplished only by the proletariat, the particular class whose economic conditions of existence prepare it for this task and provide it with the possibility and the power to perform it. While the bourgeoisie break up and disintegrate the peasantry and all the petty-bourgeois groups, they weld together, unite and organize the proletariat. Only the proletariat — by virtue of the economic role it plays in large-scale production — is capable of being the leader of all the working and exploited people, whom the bourgeoisie exploit, oppress and crush, often not less but more than they do the proletarians, but who are incapable of waging an independent struggle for their emancipation. The theory of class struggle, applied by Marx to the question of the state and the socialist revolution, leads as a matter of course to the recognition of the political rule of the proletariat, of its dictatorship, i.e., of undivided power directly backed by the armed force of the people. The overthrow of the bourgeoisie can be achieved only by the proletariat becoming the ruling class, capable of crushing the inevitable and desperate resistance of the bourgeoisie, and of organizing all the working and exploited people for the new economic system. 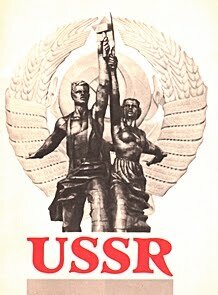 The proletariat needs state power, a centralized organization of force, an organization of violence, both to crush the resistance of the exploiters and to lead the enormous mass of the population — the peasants, the petty bourgeoisie, and semi-proletarians — in the work of organizing a socialist economy. 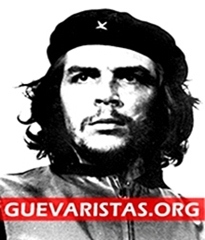 By educating the workers' party, Marxism educates the vanguard of the proletariat, capable of assuming power and leading the whole people to socialism, of directing and organizing the new system, of being the teacher, the guide, the leader of all the working and exploited people in organizing their social life without the bourgeoisie and against the bourgeoisie. By contrast, the opportunism now prevailing trains the members of the workers' party to be the representatives of the better-paid workers, who lose touch with the masses, "get along" fairly well under capitalism, and sell their birthright for a mass of pottage, i.e., renounce their role as revolutionary leaders of the people against the bourgeoisie. Marx's theory of "the state, i.e., the proletariat organized as the ruling class", is inseparably bound up with the whole of his doctrine of the revolutionary role of the proletariat in history. The culmination of this rule is the proletarian dictatorship, the political rule of the proletariat. But since the proletariat needs the state as a special form of organization of violence against the bourgeoisie, the following conclusion suggests itself: is it conceivable that such an organization can be created without first abolishing, destroying the state machine created by the bourgeoisie for themselves? The Communist Manifesto leads straight to this conclusion, and it is of this conclusion that Marx speaks when summing up the experience of the revolution of 1848-51. "But the revolution is throughgoing. It is still journeying through purgatory. It does its work methodically. By December 2, 1851 [the day of Louis Bonaparte's coup d'etat], it had completed one half of its preparatory work. It is now completing the other half. First it perfected the parliamentary power, in order to be able to overthrow it. Now that it has attained this, it is perfecting the executive power, reducing it to its purest expression, isolating it, setting it up against itself as the sole object, in order to concentrate all its forces of destruction against it. And when it has done this second half of its preliminary work, Europe will leap from its seat and exultantly exclaim: well grubbed, old mole! 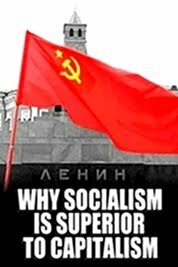 In this remarkable argument, Marxism takes a tremendous step forward compared with the Communist Manifesto. In the latter, the question of the state is still treated in an extremely abstract manner, in the most general terms and expressions. In the above-quoted passage, the question is treated in a concrete manner, and the conclusion is extremely precise, definite, practical and palpable: all previous revolutions perfected the state machine, whereas it must be broken, smashed. This conclusion is the chief and fundamental point in the Marxist theory of the state. And it is precisely this fundamental point which has been completely ignored by the dominant official Social-Democratic parties and, indeed, distorted (as we shall see later) by the foremost theoretician of the Second International, Karl Kautsky. The Communist Manifesto gives a general summary of history, which compels us to regard the state as the organ of class rule and leads us to the inevitable conclusion that the proletariat cannot overthrow the bourgeoisie without first winning political power, without attaining political supremacy, without transforming the state into the "proletariat organized as the ruling class"; and that this proletarian state will begin to wither away immediately after its victory because the state is unnecessary and cannot exist in a society in which there are no class antagonisms. The question as to how, from the point of view of historical development, the replacement of the bourgeois by the proletarian state is to take place is not raised here. This is the question Marx raises and answers in 1852. True to his philosophy of dialectical materialism, Marx takes as his basis the historical experience of the great years of revolution, 1848 to 1851. Here, as everywhere else, his theory is a summing up of experience, illuminated by a profound philosophical conception of the world and a rich knowledge of history. The problem of the state is put specifically: How did the bourgeois state, the state machine necessary for the rule of the bourgeoisie, come into being historically? What changes did it undergo, what evolution did it perform in the course of bourgeois revolutions and in the face of the independent actions of the oppressed classes? What are the tasks of the proletariat in relation to this state machine? The centralized state power that is peculiar to bourgeois society came into being in the period of the fall of absolutism. Two institutions most characteristic of this state machine are the bureaucracy and the standing army. In their works, Marx and Engels repeatedly show that the bourgeoisie are connected with these institutions by thousands of threads. Every worker's experience illustrates this connection in an extremely graphic and impressive manner. From its own bitter experience, the working class learns to recognize this connection. That is why it so easily grasps and so firmly learns the doctrine which shows the inevitability of this connection, a doctrine which the petty-bourgeois democrats either ignorantly and flippantly deny, or still more flippantly admit "in general", while forgetting to draw appropriate practical conclusions. The bureaucracy and the standing army are a “parasite” on the body of bourgeois society--a parasite created by the internal antagonisms which rend that society, but a parasite which “chokes” all its vital pores. 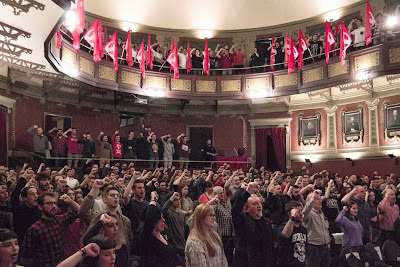 The Kautskyite opportunism now prevailing in official Social-Democracy considers the view that the state is a parasitic organism to be the peculiar and exclusive attribute of anarchism. It goes without saying that this distortion of Marxism is of vast advantage to those philistines who have reduced socialism to the unheard-of disgrace of justifying and prettifying the imperialist war by applying to it the concept of "defence of the fatherland"; but it is unquestionably a distortion, nevertheless. The development, perfection, and strengthening of the bureaucratic and military apparatus proceeded during all the numerous bourgeois revolutions which Europe has witnessed since the fall of feudalism. In particular, it is the petty bourgeois who are attracted to the side of the big bourgeoisie and are largely subordinated to them through this apparatus, which provides the upper sections of the peasants, small artisans, tradesmen, and the like with comparatively comfortable, quiet, and respectable jobs raising the holders above the people. Consider what happened in Russia during the six months following February 27, 1917. The official posts which formerly were given by preference to the Black Hundreds have now become the spoils of the Cadets, Mensheviks, and Social-Revolutionaries. Nobody has really thought of introducing any serious reforms. Every effort has been made to put them off "until the Constituent Assembly meets", and to steadily put off its convocation until after the war! But there has been no delay, no waiting for the Constituent Assembly, in the matter of dividing the spoils of getting the lucrative jobs of ministers, deputy ministers, governors-general, etc., etc.! The game of combinations that has been played in forming the government has been, in essence, only an expression of this division and redivision of the “spoils”, which has been going on above and below, throughout the country, in every department of central and local government. 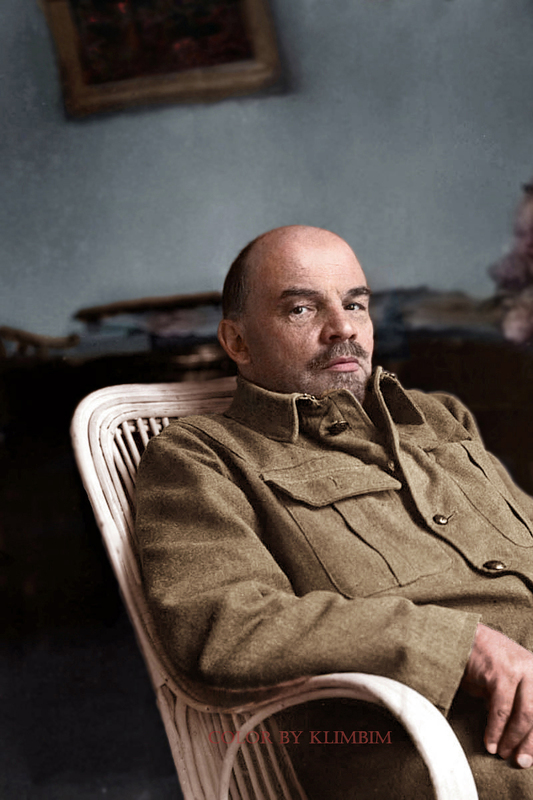 The six months between February 27 and August 27, 1917, can be summed up, objectively summed up beyond all dispute, as follows: reforms shelved, distribution of official jobs accomplished and “mistakes” in the distribution corrected by a few redistributions. But the more the bureaucratic apparatus is “redistributed” among the various bourgeois and petty-bourgeois parties (among the Cadets, Socialist-Revolutionaries and Mensheviks in the case of Russia), the more keenly aware the oppressed classes, and the proletariat at their head, become of their irreconcilable hostility to the whole of bourgeois society. Hence the need for all bourgeois parties, even for the most democratic and "revolutionary-democratic" among them, to intensify repressive measures against the revolutionary proletariat, to strengthen the apparatus of coercion, i.e., the state machine. This course of events compels the revolution "to concentrate all its forces of destruction" against the state power, and to set itself the aim, not of improving the state machine, but of smashing and destroying it. It was not logical reasoning, but actual developments, the actual experience of 1848-51, that led to the matter being presented in this way. The extent to which Marx held strictly to the solid ground of historical experience can be seen from the fact that, in 1852, he did not yet specifically raise the question of what was to take the place of the state machine to be destroyed. Experience had not yet provided material for dealing with this question, which history placed on the agenda later on, in 1871. In 1852, all that could be established with the accuracy of scientific observation was that the proletarian revolution had approached the task of "concentrating all its forces of destruction" against the state power, of “smashing” the state machine. The last remark is out of date insomuch as since 1871 there has been a lull in the revolutionary struggle of the French proletariat, although, long as this lull may be, it does not at all preclude the possibility that in the coming proletarian revolution France may show herself to be the classic country of the class struggle to a finish. Let us, however, cast a general glance over the history of the advanced countries at the turn of the century. We shall see that the same process went on more slowly, in more varied forms, in a much wider field: on the one hand, the development of "parliamentary power" both in the republican countries (France, America, Switzerland), and in the monarchies (Britain, Germany to a certain extent, Italy, the Scandinavia countries, etc. ); on the other hand, a struggle for power among the various bourgeois and petty-bourgeois parties which distributed and redistributed the “spoils” of office, with the foundations of bourgeois society unchanged; and, lastly, the perfection and consolidation of the "executive power", of its bureaucratic and military apparatus. There is not the slightest doubt that these features are common to the whole of the modern evolution of all capitalist states in general. In the last three years 1848-51 France displayed, in a swift, sharp, concentrated form, the very same processes of development which are peculiar to the whole capitalist world. 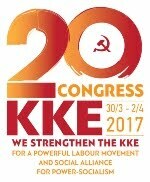 Imperialism--the era of bank capital, the era of gigantic capitalist monopolies, of the development of monopoly capitalism into state-monopoly capitalism--has clearly shown an unprecedented growth in its bureaucratic and military apparatus in connection with the intensification of repressive measures against the proletariat both in the monarchical and in the freest, republican countries. World history is now undoubtedly leading, on an incomparably larger scale than in 1852, to the "concentration of all the forces" of the proletarian revolution on the “destruction” of the state machine. What the proletariat will put in its place is suggested by the highly instructive material furnished by the Paris Commune. "And now as to myself, no credit is due to me for discovering the existence of classes in modern society or the struggle between them. Long before me bourgeois historians had described the historical development of this class struggle and bourgeois economists, the economic anatomy of classes. What I did that was new was to prove: (1) that the existence of classes is only bound up with the particular, historical phases in the development of production (historische Entwicklungsphasen der Produktion), (2) that the class struggle necessarily leads to the dictatorship of the proletariat, (3) that this dictatorship itself only constitutes the transition to the abolition of all classes and to a classless society." In these words, Marx succeeded in expressing with striking clarity, first, the chief and radical difference between his theory and that of the foremost and most profound thinkers of the bourgeoisie; and, secondly, the essence of his theory of the state. It is often said and written that the main point in Marx's theory is the class struggle. But this is wrong. And this wrong notion very often results in an opportunist distortion of Marxism and its falsification in a spirit acceptable to the bourgeoisie. For the theory of the class struggle was created not by Marx, but by the bourgeoisie before Marx, and, generally speaking, it is acceptable to the bourgeoisie. Those who recognize only the class struggle are not yet Marxists; they may be found to be still within the bounds of bourgeois thinking and bourgeois politics. To confine Marxism to the theory of the class struggle means curtailing Marxism, distorting it, reducing it to something acceptable to the bourgeoisie. Only he is a Marxist who extends the recognition of the class struggle to the recognition of the dictatorship of the proletariat. That is what constitutes the most profound distinction between the Marxist and the ordinary petty (as well as big) bourgeois. This is the touchstone on which the real understanding and recognition of Marxism should be tested. 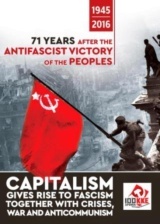 And it is not surprising that when the history of Europe brought the working class face to face with this question as a practical issue, not only all the opportunists and reformists, but all the Kautskyites (people who vacillate between reformism and Marxism) proved to be miserable philistines and petty-bourgeois democrats repudiating the dictatorship of the proletariat. Kautsky's pamphlet, The Dictatorship of the Proletariat, published in August 1918, i.e., long after the first edition of the present book, is a perfect example of petty-bourgeois distortion of Marxism and base renunciation of it in deeds, while hypocritically recognizing it in words (see my pamphlet, The Proletarian Revolution and the Renegade Kautsky, Petrograd and Moscow, 1918). Opportunism today, as represented by its principal spokesman, the ex-Marxist Karl Kautsky, fits in completely with Marx's characterization of the bourgeois position quoted above, for this opportunism limits recognition of the class struggle to the sphere of bourgeois relations. (Within this sphere, within its framework, not a single educated liberal will refuse to recognize the class struggle "in principle"!) Opportunism does not extend recognition of the class struggle to the cardinal point, to the period of transition from capitalism to communism, of the overthrow and the complete abolition of the bourgeoisie. 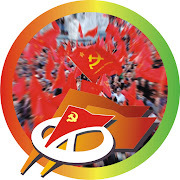 In reality, this period inevitably is a period of an unprecedently violent class struggle in unprecedentedly acute forms, and, consequently, during this period the state must inevitably be a state that is democratic in a new way (for the proletariat and the propertyless in general) and dictatorial in a new way (against the bourgeoisie). Further. 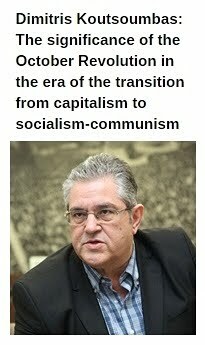 The essence of Marx's theory of the state has been mastered only by those who realize that the dictatorship of a single class is necessary not only for every class society in general, not only for the proletariat which has overthrown the bourgeoisie, but also for the entire historical period which separates capitalism from "classless society", from communism. Bourgeois states are most varied in form, but their essence is the same: all these states, whatever their form, in the final analysis are inevitably the dictatorship of the bourgeoisie. The transition from capitalism to communism is certainly bound to yield a tremendous abundance and variety of political forms, but the essence will inevitably be the same: the dictatorship of the proletariat.